is a popular stock trading app that charges absolutely no commissions. 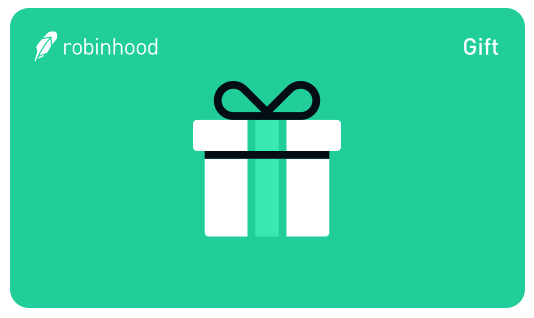 You can read our full review of Robinhood to get a better idea of what they do. When you click on the gift card. I have an account with them and have zero complaints. They recently raised $110 million at a $1.3 billion valuation and are looking to blowing the doors off their promotional efforts. They’ve started rolling out different promotions for referring new accounts and I’ll try to include them all here. The most exciting of the referral promotions is the free stock promotion. When you refer a friend, they get a chance of getting a share of stock valued between $3 and $150 – the average is $10. The stock is awarded when they fund their account. When you refer a friend, you also get a share of stock too – valued between $3 and $150. You won’t necessarily get the same stock but you could.